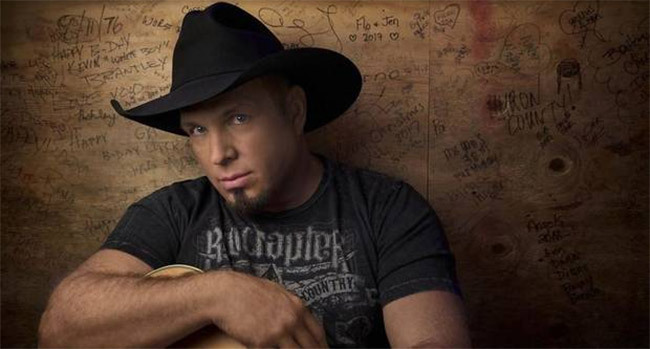 A&E has announced a four-part documentary about Garth Brooks. Garth: The Road I’m On (working title) is part of the network’s Biography franchise and is slated to air in the fourth quarter of 2019. The network made the announcement during its Upfront presentation in New York on Wednesday (Mar 27th). The network explains the series highlighting Brooks’ prolific career through never-before-seen interviews with Brooks, wife Trisha Yearwood, his original road band and other personal and professional figures. It promises “unprecedented behind-the-scenes access” from Brooks’ record-setting stadium tour that launched earlier this month with a sold out show in St. Louis, according to Deadline. Brooks is five for five on his stadium tour with all previously announced dates sold out. The country superstar announced that the sixth stop on the Garth Brooks Stadium Tour will be Saturday, June 8th in Broncos Stadium at Mile High in Denver. Tickets will be on sale Friday, April 5th at 10 am MDT. There will be an eight ticket limit per purchase. Tickets can only be purchased at ticketmaster.com/garthbrooks or either Ticketmaster Express 1-866-448-7849 or 1-800-745-3000. Please note there will be no ticket sales at the venue box office or Ticketmaster outlets on April 5th.